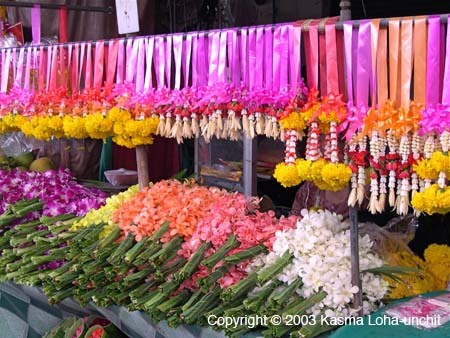 Flowers for Sale: Nearly every Thai market has flowers for sale, as well, such as these beautiful orchids. The strands on the top are meant to be used as offerings. This is from Sukhumvit Soi 55 (Thong Lo) in Bangkok.